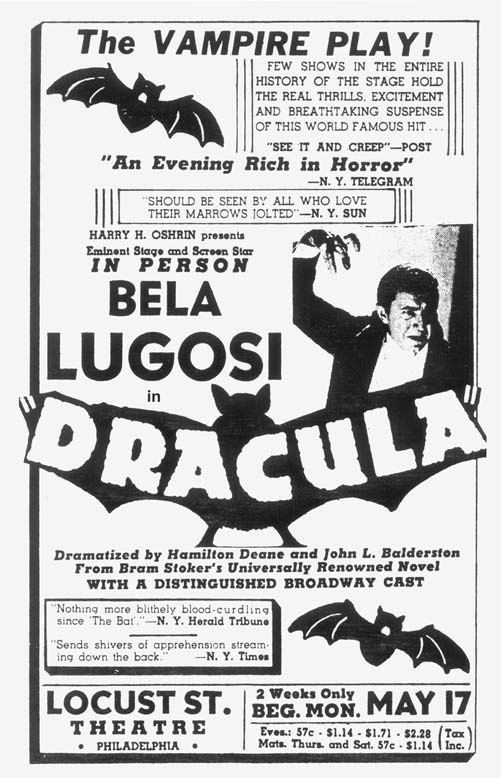 Four new Bela Lugosi movies appeared in 1943, but the year is marked by his return to the stage. He had not worked in theatre since 1937 (a two month west coast tour in Tovarich), and had not appeared on stage in Dracula since 1932 (a one week run in Portland, Oregon, though in late 1933 he did appear in an abbreviated version on the vaudeville circuit). 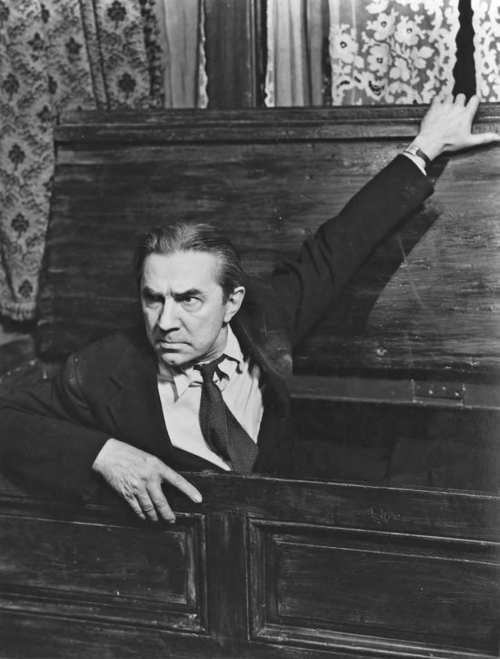 Lugosi starred in an east coast tour of Dracula in the spring of 1943, and in a west coast tour of Arsenic & Old Lace. 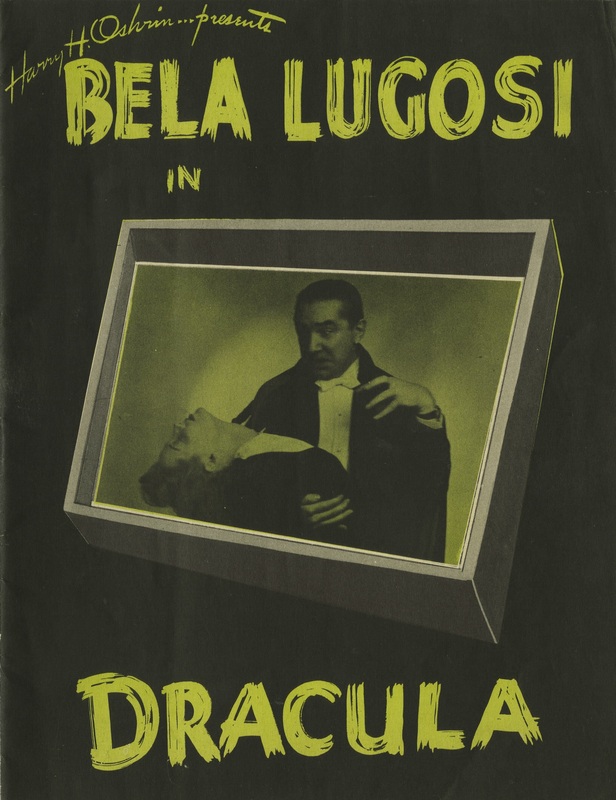 The comedy would become a mainstay of Lugosi’s stage work in post-World War II summer stock. The theatre tours generated a lot of interviews, as Lugosi & company travelled to city after city, and encounter local reporters. Those reporters depended a lot on the tour publicity releases. 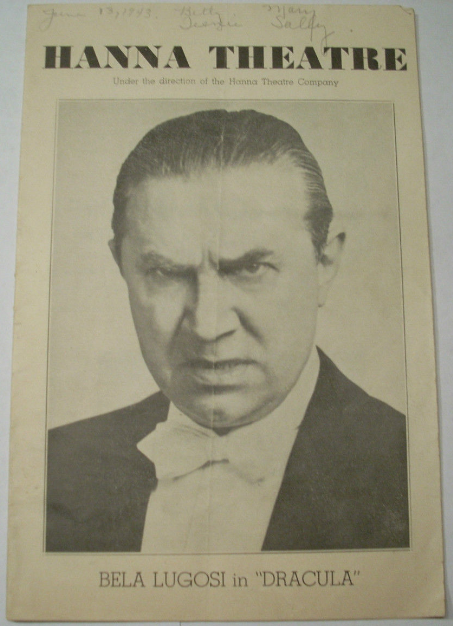 The release for the Dracula tour began included a Lugosi profile that begins with “having run the Hollywood horror gamut from Georgian monsters to baying werewolves…” So, do many of the interviews, though most reporters extracted from Lugosi at least one unique quote for their essays. In San Francisco, Lugosi’s debut in Arsenic & Old Lace, he received a longer, meatier profile in The San Francisco Chronicle, which devoted its Sunday Supplement “The World of Drama” to Lugosi. When Arsenic & Old Lace moved on to Los Angeles, Lugosi appeared in the play at night, and filmed Return of the Vampire at Columbia during the day. That film gave Lugosi his last top-billing at a major studio, and his second role as a caped, coffin-sleeping, blood-sucking vampire. Lugosi’s “Armand Tesla” is Dracula in all but name. Otherwise, business as usual on the movie front. Lugosi played a rather sympathetic mad doctor in Monogram’s The Ape Man, and made what is little more than a cameo appearance opposite The East Side Kids’ Ghosts on the Loose. He was again misused by Universal in Frankenstein Meets The Wolf Man (filmed in late 1942). Lugosi played The Monster, who—thanks to a brain transplant at the end Ghost of Frankenstein—is rather talkative. After filming, Universal reconsidered and deleted all of Lugosi’s dialogue and a good part of his character’s motivation. 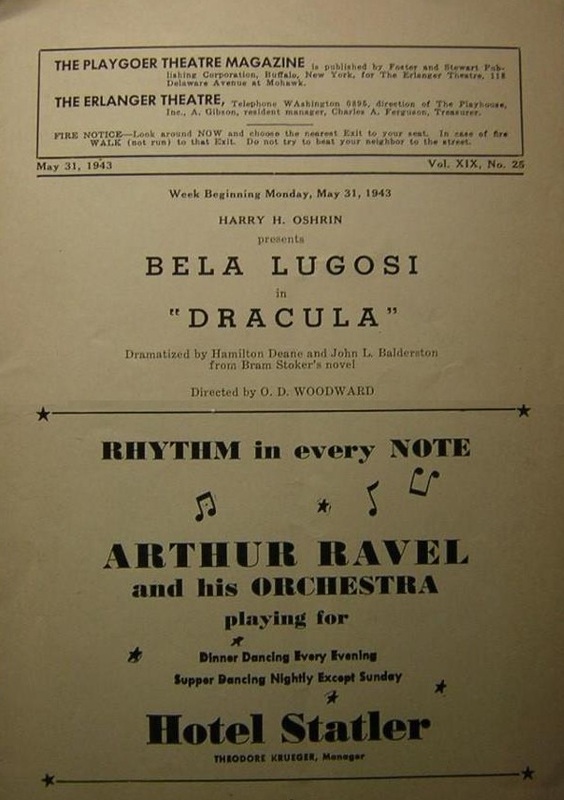 Transcribers Note: From April through June 1943, Bela Lugosi returned to the stage in a theatre tour of Dracula. The souvenir program included a number of past interviews with Lugosi, including the ones below. The others have been posted in the years of their original appearance. The original publication date of these pieces is not known. He made a hit in a colourful role on the stage—but most of the time he didn’t know what he was saying! One of the most remarkable feats in the annals of theatricals was accomplished some years ago by Bela Lugosi, the famous Hungarian actor, shortly after he went to the United States, when his political activities had compelled him to flee from his native country with a price on his head. Appearing as the star of a travelling company presenting plays in the Hungarian language, Lugosi had failed to learn English, but his performance in one of the plays in his repertoire led a New York theatrical manager to approach him with an offer to play a role in The Red Poppy. Fortunately, the manager could talk German, and in that language Lugosi confessed his inability either to understand or speak a word of English. “But give me a chance!” he suggested. “Give me a tutor, take his salary out of my future earnings, and by the time you are ready to start rehearsals I will know my part.” Though he was at first doubtful, the stage director finally agreed to the proposition, and Lugosi at once began an intensive course of study. At such short notice he made no attempt to learn the English language, but under the coaching of his tutor he learned his entire role phonetically, as one might learn the music of a song. He simply memorized and imitated the sounds made by his teacher. Three months later the company came together for the first rehearsal. The other members of the cat, typewritten parts in hand, either read their speeches or stumbled through them in a halting fashion. But Lugosi was letter-perfect, and gave such a convincing portrayal of his role that the other members of the company gathered around him and began to offer their congratulations. The embarrassed Hungarian smiled shyly and shook his head. He did not know what they were saying. But when the play opened he played his part with such consummate artistry that Alan Dale, the frankly-vitriolic critic acclaimed him “the greatest actor ever to come to America.” During the run of The Red Poppy in New York, Lugosi entered the Columbia University and took a course in English, and in 1927, whenDracula was first produced as a stage play, he was engaged to play the title role of Count Dracula. In an attempt to forget Congressional disturbances, I dashed down to the National Theater to get a little cheer from their last playoff this season. It turned out that they were doing that gay little play, Dracula with Bela Lugosi furnishing the major thrills. Actually, after being on the hill and seeing some of the stuff that goes on up there, Draculawasn’t half as frightening as it might have been. Afterwards, desiring a closer look at the horror man, I went back stage where he complacently sat, with a cigar in his mouth, and a smile on his face. I looked at him and said, “You wouldn’t feel insulted, would you, if I told you that you were perfectly horrible to night.” He laughed, continued writing autographs, and relied, “No, not at all”—So the bad man has a good sense of humor. His favorite newspaper on the Coast (with which he is acquainted) is Los Angeles’ liberalDaily News. He had definite ideas about newspaper publishers and editorial policy. He subscribes to The Reader’s Digest, Time (which he took for 10 years and just recently gave up), The Nation, The New Republic, The New Masses, In Fact, and Forum, as well as a dozen Hungarian magazines.